Is your business prepared to handle a brand or product crisis? Here, the term "crisis" means any event that can have an adverse effect on your brand, even if the event is only perceived and not proven. On Wednesday, January 23, 2013, I received some important information from a LIMA webinar entitled "When Bad Stuff Happens: How To Deal With a Brand or Product Crisis" that I want to share with you. This is Part 1 of a 2-Part website article covering brand or product crisis management. I. PREVENTION: The first consideration for Crisis Communication Planning is Prevention. Knowing that there are 2 kinds of threats � natural (such as hurricanes and earthquakes) and man-made (such as design or manufacturing flaws, product tampering or misuse, or cyber attacks) -- a business should take all commercially reasonable actions to establish threat prevention measures. Such measures may include instituting strict quality control and safety procedures, conducting inspections and independent product testing, following best practices, and properly training personnel. Whatever steps you take to prevent threats in your business, you should document what actions have been taken because that information becomes important in a crisis since people will want to know what you did to try to prevent a crisis. Here's one prevention caveat: Regulatory compliance is viewed as the minimum you should do, thus you should consider exceeding any regulations governing your industry. A. Identify Threats: You should collaborate with your organization's key experts to identify risks or threats in your business. These experts may include people from your product design, manufacturing, sales, customer relations, information technology, communications, and legal teams. A good place to start is to research what preventative measures have been taken already and then ask -- what more can be done? Another good place to start is with the headlines of your favorite newspaper or trade publication � is another company in your industry or a related industry going through a crisis or what threats are they under? B. Identify Stakeholders: The same experts identifying threats can also help you identify the stakeholders in your business. Stakeholders may include customers, consumers, employees, shareholders, suppliers, the media, regulatory agencies and others in the industry (such as trade associations). It is important to identify stakeholders because the information you provide may be different for each group and should be tailored to address their concerns. i. Designate a crisis team and leadership. Your crisis team should include both internal and external members from your business. Internal members can be high-ranking executives, communications professionals, on-staff experts and support staff. 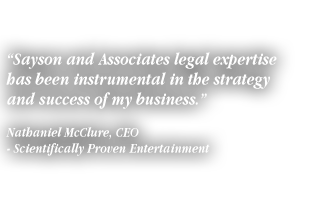 External members can be third party experts, outside legal counsel, insurance company reps, law enforcement and regulatory agency officials. ii. Select spokespeople and media train them. Your spokespeople should come preferably from your organization's highest level executives, internal topic experts and/or third-party experts and should be trained to interact with the media. iii. Instruct other personnel that in the event of a crisis they are not to speak to news media. It's important to control the message and information you release. iv. Develop messaging for all anticipated threats. Your messaging should be customized for each audience and should be in readily usable formats (e.g. press releases, statements, key messages for spokespersons, FAQs, letters to shareholders, scripts for customer service/call centers). v. Identify influencers. You should identify influencers such as key news media outlets or journalists, industry analysts, regulatory agencies, or trade organization that can help you convey your message. vi. Identify internal and external resources. You should identify internal and external resources that can be used to communicate your message or help you create your message. There are technology and telecommunications resources such as laptops, cellphones and video conferencing; physical and logistical resources such as conference facilities, testing labs, the nearest hospitals and airports; and production resources such as camera crews, editing facilities, satellite trucks, and helicopters. vii. Build a social and mobile media presence. You should build a social and mobile media presence by using services like Twitter, Facebook and LinkedIn to communicate updates and engage in "truth squadding" or rumor control. Don't be afraid to use text messaging to communicate with your key constituents. viii. Practice. Your team needs to practice your communications plan. Practicing allows you to test your key systems, helps your team members understand their roles and knowledge base, identifies weaknesses in the plan or team; and presents a structure for plan review and revision. To read the rest of this article or to read it on the go, please download the PDF.